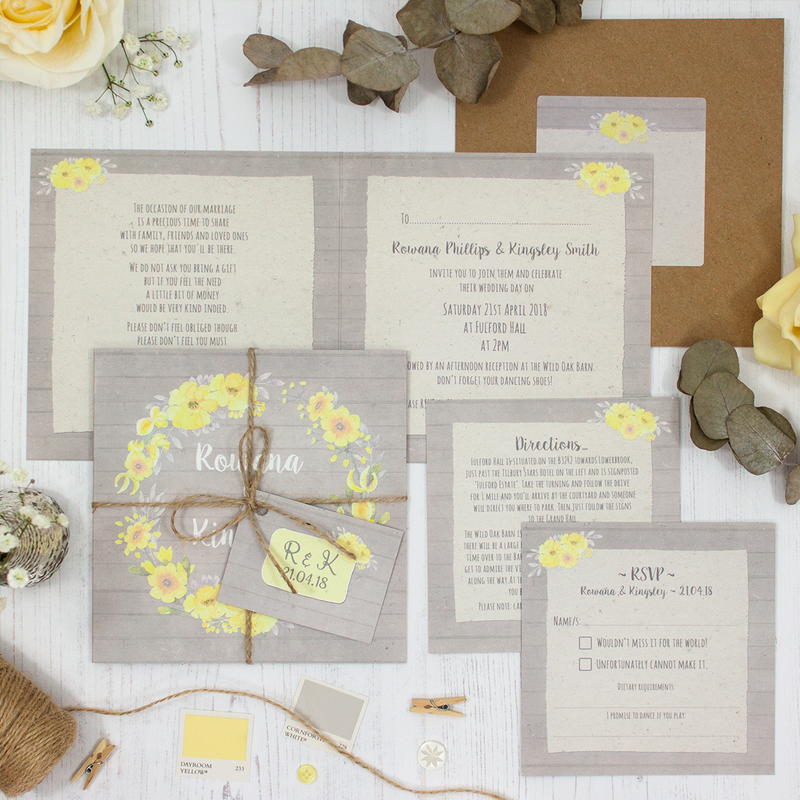 Wedding invitation sample pack including an RSVP, info card, string and tag, envelope and label in the Buttercup Flutter Collection design. Inspired whilst on a walk in the countryside when I came across a yellow meadow of delicate buttercups, fluttering together in the spring breeze. 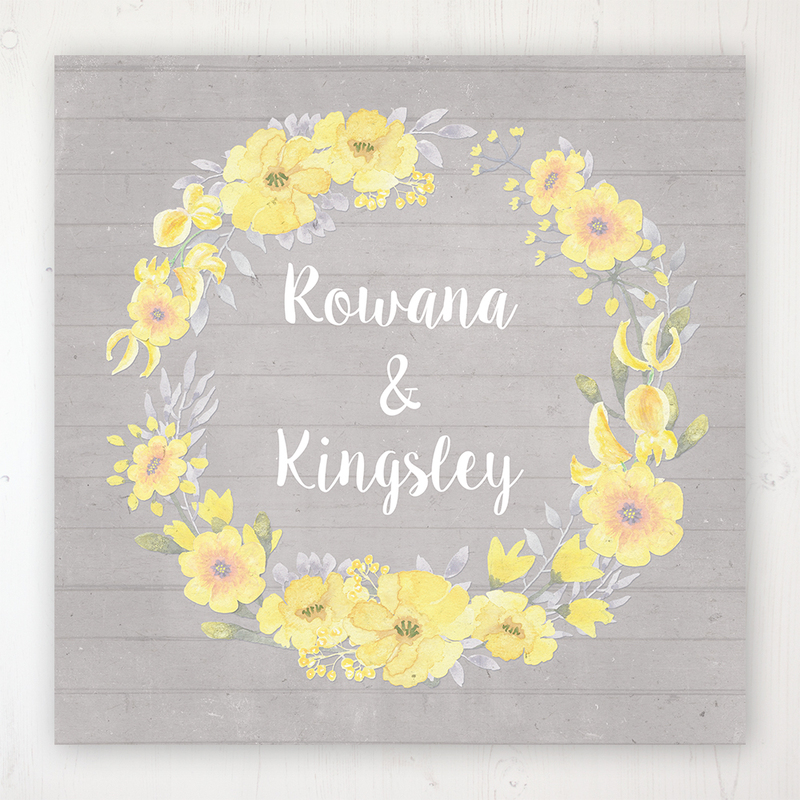 The Buttercup Flutter collection is a whimsical flourish of yellow florals which go so well with soft grey.